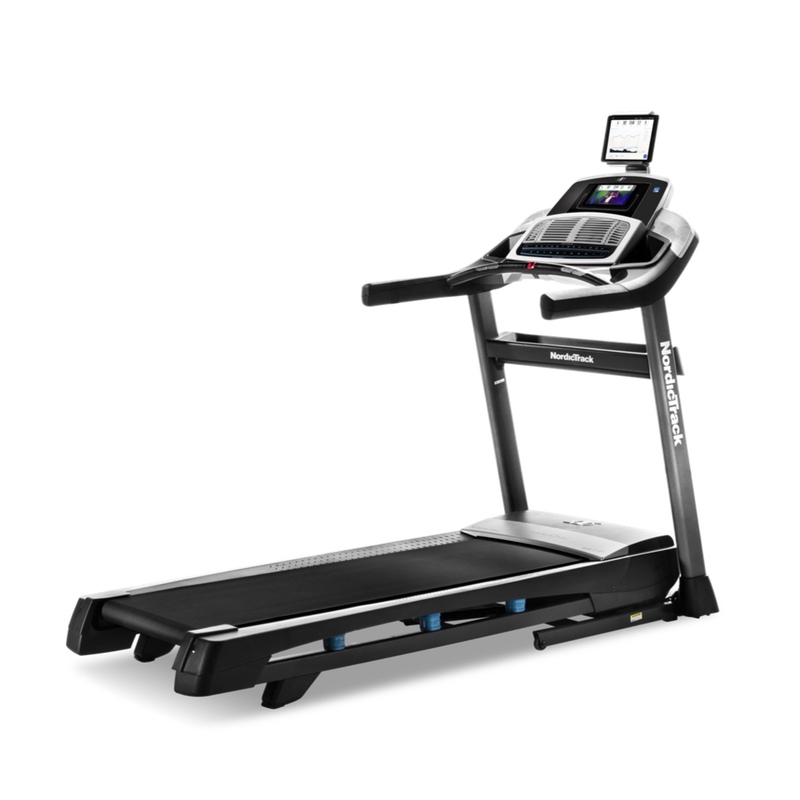 The NordicTrack C 1270 Pro is one of the newest treadmills in the company's strong lineup, first introduced in late 2018 as a 2019 model. It's part of the more affordable C Series, and is packed with some great features that make it a very attractive choice. The C1270 features an easy folding, durable frame, with a strong and capable motor and large touch screen display. At the end of each year you can always expect one or two new NordicTrack treadmills to hit the market. Sometimes they discontinue a model, other times they just add a new one to the mix. The C 1270 Pro seems to be joining the three other C Series treadmills for now, but NordicTrack may just discontinue one of the other models at some point...we'll keep an eye on that. This is definitely a welcome addition, as it has some really great features and capabilities, without the high price tag to match. The C 1270 treadmill starts with a very powerful 3.5 CHP motor, a step up from the 3.0 CHP on the step down C 990 model. It's quiet as well, so you won't hear it even during the most intense workouts. You have a large 20" x 60" running deck, one of the largest that NordicTrack offers, so there's plenty of room to stretch out no matter how tall you are. There's incline capability up to 15%, a jump up from the 12% on the C 990 model and similar to the top of the line C 1650 treadmill. This is great to ramp up your cardio and boost emphasis on your lower leg muscles. You get an impressive amount of built in workout programs, 34 in all, which gives you plenty of variety to change things up from one workout to the next. You also get iFit Coach, one of the most comprehensive interactive programs there is, which allows you to tap into a library of additional workouts, as well as track all of your results, run anywhere in the world with Google maps and share your workouts with friends and family. This program is only found on NordicTrack and ProForm treadmills, and does require a yearly membership. Note however that some machines, including the NordicTrack C 1270 Pro, come with one year of iFit for free...so you can try it out without having to pay for it. Other great features? You get the company's patented FlexSelect cushioning to choose the ideal setting for your run...mimic an outdoor feel or increase the padding to minimize impact on your joints. You have easy 1-touch controls to change all of your settings, dual AutoBreeze workout fans, an awesome 7" touch screen display, music playing capability and a very generous warranty...lifetime on frame and motor, 5 years parts and 2 years labor. That's a very strong warranty, especially given the competitive price tag. Any negatives? Not really. The new NordicTrack C 1270 Pro has just about everything you could ask for, and the company left nothing out on this one. How Does The C 1270 Pro Compare to the Other NordicTrack Treadmills? As we mentioned, the C 1270 is part of the C Series, which is NordicTrack's more affordable lineup. That's not to say that these aren't great machines, they're just not as advanced as the Commercial Series....although the C 1270 Pro comes pretty close! The C Series starts with the C700, the most affordable of all of the NordicTrack treadmills. It comes with a 2.75 CHP motor, speeds up to 10 mph, 10 levels of incline, a 20" x 55" running area and 20 workout programs. It has a basic LED display and 300 lb. max user weight capacity. Next up is the C 990, which improves upon all of the specs of the C700. You get a 3.0 CHP motor, speeds up to 12 mph, 12 levels of incline, a 20" x 60" running area and 32 workout programs, plus a more advanced 7" touch screen display. Moving up you have the new C 1270. It gives you everything the C 990 has, plus a stronger 3.5 CHP motor, 15 levels of incline, 34 workout programs and a higher 350 lb. max user weight capacity. The top-of-the-line C 1650 gives you a 10" HD touch screen...otherwise it is pretty much the same as the NordicTrack C 1270 treadmill. So as you move up in the C Series, you get a little more of everything. Higher speeds, more incline, more workout programs, stronger motors, higher weight capacities and more advanced displays. How does the C 1270 Pro compare to the Commercial and Incline Trainer Series? As we mentioned above, the C Series offers some more affordable treadmills, ranging in price from about $899 for the base C 700 to $1,399 for the higher end C 1650. The Commercial Series, which includes the very popular Commercial 1750, along with the 2450 and 2950, starts at around $1599 and goes all the way up to about $2,999. The main difference between the C 1270 and the Commercial and Incline Series is the fact that it does not have decline capability. The Commercial treadmills have decline up to 3% and the Incline Trainers have decline up to 6%. They also have larger 22" x 60" decks, more advanced cushioning, wireless heart rate monitoring and stronger motors. But the C Series, especially the C 1270 Pro and C 1650, give you more than enough features for a great workout, and are definitely worth considering if you want to save a little money and don't necessarily need decline training capability. If you're looking a great treadmill for your home, one that won't break the bank and is packed with features and capabilities, the new NordicTrack C 1270 Pro is definitely a great option for you. 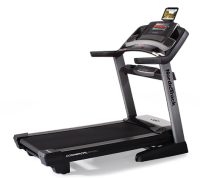 It has a touch screen display, iFit Coach technology, plenty of uilt in workouts, a large deck, strong motor, optimal incline capability and a very strong warranty. You really can't ask for much more in a treadmill in this price range, as you'd be hard pressed to find this functionality elsewhere. If you prefer a larger touch screen, look at the up-level C 1650 treadmill as well. And if you want decline, and your budget is more open, check out the advanced Commercial and Incline Trainer series.